At Endeavour we pride ourselves in being able to combat bullying and help children grow in self esteem and confidence which in turn will give them the mental tools to become bully-proof. 1. Comes home with torn, damaged, or missing pieces of clothing, books, or other belongings. The less reasonable your child’s explanation, the more likely bullying is involved. 2. Frequent headaches or stomach aches, feeling sick, or faking illness, especially in the mornings. This could either be to avoid the bullying or as a result of the bullying. Typically, it’s both. 3. Changes in eating habits. Skipping meals, unable to eat meals, or binge eating. Kids may come home from school hungry because they did not eat lunch. 4. Difficulty sleeping, frequent nightmares, or complaints of headaches. Processing the abuse can take a toll even when sleep should provide rest and healing. 5. Declining grades, loss of interest in schoolwork, or not wanting to go to school. Simply put, it’s tough to concentrate on anything else when anxiety is working in the background. 6. Loss of friends or avoidance of social situations. Victims often lose the few friends they have. Other kids don’t want to be associated with victims or they’re afraid it’s “catching.” Victims seldom become “loners” by choice. 7. Feelings of helplessness or decreased self-esteem. This may include anxiety-based behavior and self-destructive behaviors such as running away from home, harming themselves, or talking about hurting themselves. Your child may seem afraid of going to school, walking to and from school, riding the school bus, or taking part in organized activities with peers (such as clubs). Not just sad, but moody, teary, or depressed when he or she comes home. A huge part of this is that he or she won’t talk about what’s wrong. 10. Begins to bully other children. This is a disturbing sign that’s often a natural consequence of being bullied. Victims may begin to take it out on siblings or weaker friends and become aggressive and uncooperative with their parents. Let’s help make our children confident, proud and focussed Young Champions! Spot the signs and work with us to build your child towards and happy, healthy and awesome lifestyle !! Online Store Live & Kicking!! We are so excited to be able launch our online store. The best place to browse and purchase all of our Endeavour Branded Products!! Online exclusive ‘white training vests’ all ready to order from now! Just like in adults, increased physical activity has been associated with an increased life expectancy and decreased risk of cardiovascular disease. Physical activity produces overall physical, psychological and social benefits. 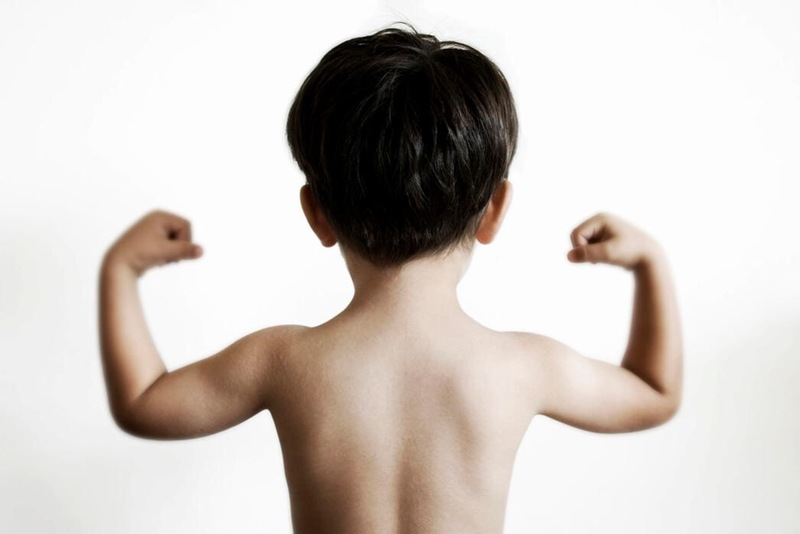 Inactive children are likely to become inactive adults. Parents should try to be role models for active lifestyles and provide children with opportunities for increased physical activity. What if my child is uncoordinated or overweight? All children, even less-coordinated ones, need to be physically active. Activity may be particularly helpful for the physical and psychological well-being of children with a weight problem. Why Martial Arts is the best choice for fitness. It’s fun. No parent wants to drag and unwilling child to a sport or activity. 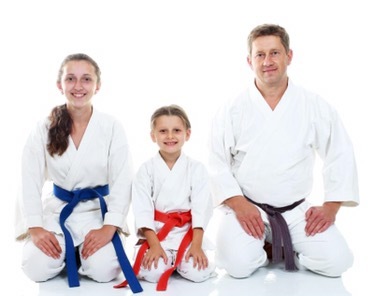 Martial Arts classes are exciting, easy for most kids and with a very extreme cool factor. Martial arts is an individual sport with a team atmosphere. No one sits on the bench. Classes are effective because they are 45 minutes long and increase in intensity so kids will reach a high level of intensity and fitness. Just what doctors are recommending. The goal setting and awarding of belts for progress makes this a long term activity. Parents love the benefits of increased self esteem, courage, self protection, patience and courtesy. Parents can support and watch classes. Other parents may choose to take lessons as well. It may be a scary thought for some, but there will come a day in every parent’s life when they realize that their child can make decisions all by himself. It might be a few years or more before that time will come, but giving your child the tools he needs to make good decisions will be useful to him when it does. By far one of the hardest parts about making a decision is being confident in your choice. Whether it’s what to wear to an important event or occasion or what college to attend, having confidence in his decisions can help your child become a successful adult. That, of course, is easier said than done. Few of us feel truly confident in all of our decisions. One way to help your child gain confidence in his decisions is to help him think through his choices before he makes them. Talk about the desired outcome he wants and then discuss which of his possible choices would most likely lead to that desired outcome. One simple example of this strategy is the decision to study versus hanging out with friends. If your child’s desired outcome is to do well in school but still spend time with friends on the weeknights, ask him questions that could lead to a possible decision. Is there a way he can have both? Could he study first and then go out to play when he is finished? While sometimes your child won’t have a choice in the matter, when he does its important to let him at least try to come to a good decision by himself. Carol Merchiore’s son David learns to make good decisions through his martial arts training. David has already learned one of the hardest parts of decision making: living with the results. Everyone makes “bad decisions” at some point or another, but what’s more important is how you handle the consequences. Since you can’t go back and change the past, the only thing you can do is make the best out of your situation, which could even work in your child’s favor. One of the most difficult times for your child to do this may be when you decide that his actions warrant punishment. Most of the time your child will probably think it is radically unfair for him to be grounded. You, however, know that sometimes it is necessary so that he can learn from his bad decisions not to make the same mistake twice. He has to live with the consequences of his actions and learn to make the best out of them. This also applies to the things that are out of our control. While having the right information to make a good decision is usually important, sometimes we are not even given a choice. For example, if your child has a test on something that he is struggling with, he can’t choose to take the test later. He has to take it on the day assigned; however, he can make the best out of an unfavorable situation by using the time he has to study, prepare, and ask a teacher, tutor or parent for extra help. The added pressure of the test could even be the extra push he needs to help him understand the material. While there are many decisions that you will make for your child until he is mature enough to make the right choice himself, letting him handle smaller decisions now will be good practice for when his decisions carry more weight. It will teach him that he is in control of his own fate.